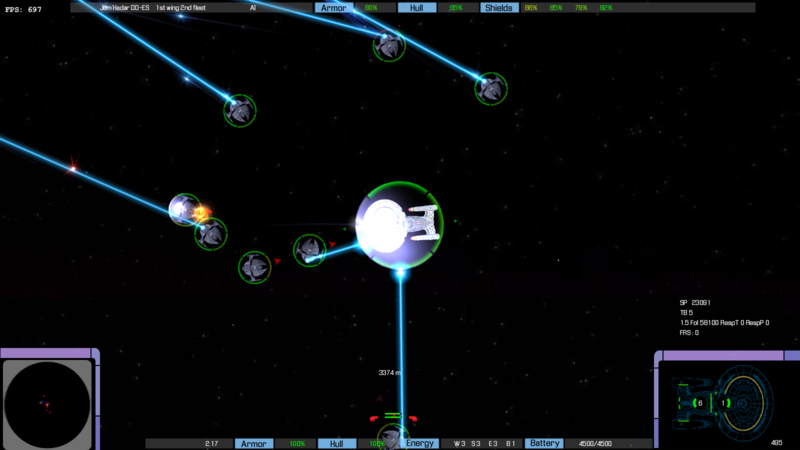 I realized on of previous AI adjustments made Nemesis scenario unplayable, because allied ships did not react properly when Scimitar is briefly visible. And thus spent most of the time spread thin across large area and not fighting. I am now also experimenting with different beam visual effects, so I replaced some of the textures and made some beams wider. Particulary polaron beam looks better I think. 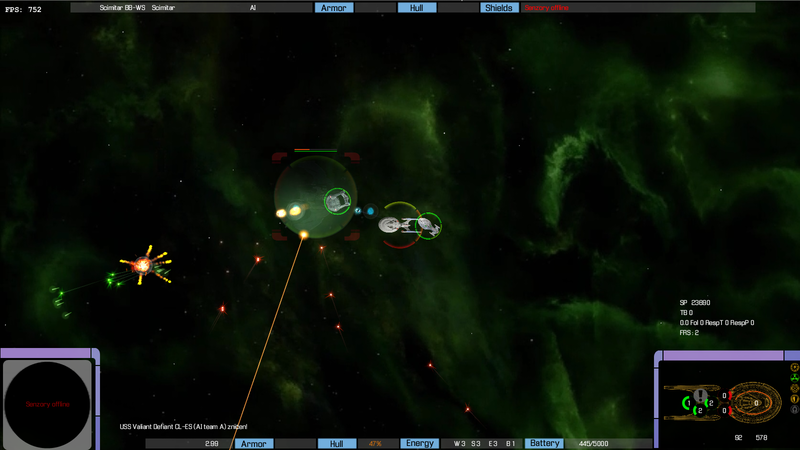 In scenario it is now possible to destroy a ship (hull=0) and give orders to ships. Better repair rates for smaller ships. IRC chat reachable from lobby.